For the Music Society’s memorial celebration for C.E.F. 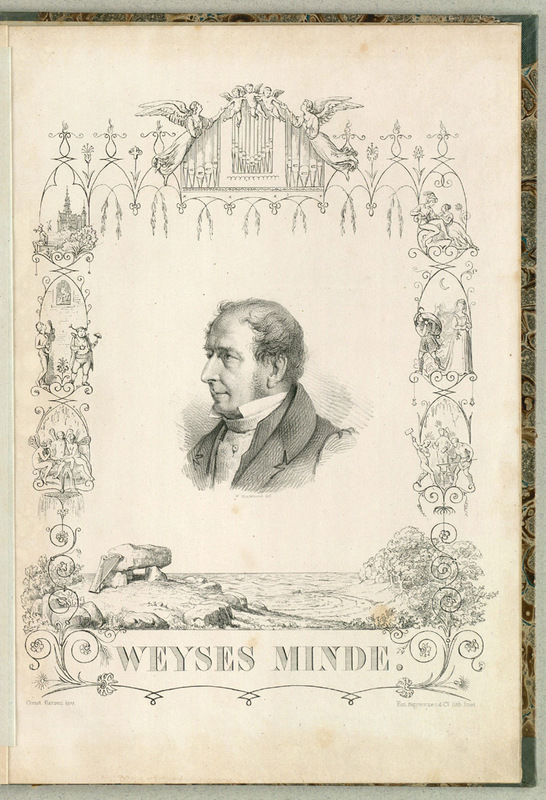 Weyse on 24th January 1843, the composer J.P.E. Hartmann wrote a cantata which was published that same year by the Society. The painter Constantin Hansen designed the title page, which in addition to a portrait of Weyse (by Wilhelm Marstrand) also shows scenes from several of his dramatic works, including (top right) The Kenilworth Festival. Andersen wrote to his friend Henriette Wulff that he had given Constantin Hansen the idea for the small drawings.